For Beef & Freezer Raffle Ticket-Sale locations click "RAFFLE" at left. "ABOUT US" = guide to who we are and what we do. "Calendar" = the schedule of current service projects, meetings, raffle ticket sale locations and Food Trailer events. "Club Projects" = list of current year service activities. "Contact Us" = names and contact information of Lions in charge. "FOOD TRAILER" = information about it, and who to contact to arrange for it to be at your event. "Membership Information" = Frequently Asked Questions about our club, how a meeting runs and how to join. "Officers" = list of current year officers. "Photo Gallery" = photos of Lions in action. "RAFFLE" = information on our current raffle. @ 6:30 - 7:30 pm. Visitors welcome! Come and be our guest. 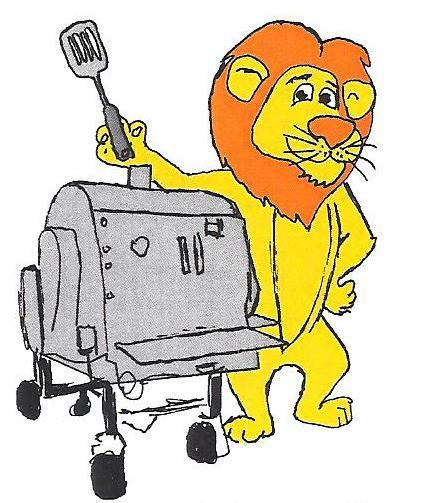 The Kennewick Lions Foundation Annual Spring into Summer Beef & Freezer Raffle was a success, raising money to support our sight and hearing charities. We want to thank A-ONE REFIGERATION & HEATING, INC and 3 RIVERS FINANCIAL GROUP for being major sponsors as well as Master's Appliance, Knutson's Meats, FinishCraft Autobody and Boat Repair, Metz' Mobile Marine, Kennewick Ranch & Home, Yokes Fresh Markets and Budget Print Center for their strong support!! 100% of funds go to help local people, no club member or employee receives any compensation. Last year we netted over $11000 after paying for some prizes. Of this, $1000 went to the Edith Bishel Center for the Blind in Kennewick, which provides support services and training for sight-impaired individuals. The remainder is budgeted to provide eye exams and glasses, hearing exams and aids, and cataract surgeries. Potentially the amount we raised in last year's raffle will provide up to 67 people with eye exams and glasses, or up to 50 people with hearing exams and aids, or as many as 5 cataract surgeries. The actual number of each depends on how many people with each need apply to the Lions Club for assistance. The number of people we can serve is based on the fact that we receive matching funds from the NW Lions Foundation to help cover each patient's doctor's fees, so we get maximum "bang" for each buck. Sight and Hearing programs back on track: Thanks to our recent successful fund raising efforts, the Lions Board was able to restart funding for eye and hearing exams, treatments, glasses and aids for people that need extra assistance to afford them. Beef & Freezer Raffle: Congratulations to our winners!! Kennewick Lions Club would like to take a moment to thank the sponsors of the 2017 Sping into Summer Raffle. Without your generous support this raffle would not be possible. The proceeds from this raffle allow the Kennewick Lions club to do much good in the Tri-Cities community! Our major sponsors - A-One Refrigeration & Heating INC., 3 Rivers Financial Group and our first and second prizes were generously donated by - FinishCraft Auto & Boat, Master's Appliance & Refrigeration, LLC, Knutzen's Meats, Ranch & Home and Jim and Gina Bennett. We would also like to thank Budget Print Center for all of our printing needs. Many thanks as well to (not in any particular order) Yoke's Fresh Market all Tri-Cities locations, Kimos Sportsbar, Mister Car Wash & Express Lube WA Kennewick, Sporthaus, Columbia Gun Rack, Rockabilly Roasting Co., Ice Harbor Brewing Company, Canyon Lakes Golf Course, Les Schwab Tire Center, Tri-Cities Battery Auto Repair Tire Pros, Kennewick Flower Shop, Wingstop Richland #489, Paradise Bottled Water, Fire & Brimstone Wood-Fired Eatery, Coyote Bob's Casino, Washington Hardware & Furniture True Value, Kennewick Red Apple, RF McDougall's, Red Lobster, Foodies Brick and Mortar Domino's Pizza, DQ Grill & Chill Tri-Cities, Autobahn Auto Care Center, CG Public House and Catering, Grocery Outlet, Outback Steakhouse - Kennewick/Tri-Cities, Papa Murphys, Greenies, Old Country Buffet, Bead'all Bug Bead Store, Scott's Cycle and Sports Kennewick, Bed Bath & Beyond, Clover Island Inn, Tri-City Court Club, Husk Office Furniture & Supplies, Firestone Complete Auto Care, Perfection Tire Kennewick, House of Paint & Automotive in Pasco, Metz Mobile Marine, Robin Rosengren, Tri-City Water Follies Columbia Cup, Sterling's Restaurant - Clearwater, Porter's Real Barbecue Cousins' Restaurant, Apollo Heating & Air Conditioning, and last but definitely not least Magills Pasco. These are all amazing businesses in our local community that have done great things to support our community. Please support them in return. See you next year for the 2018 Raffle!!!! We particularly thank Yoke's Fresh Market for their strong belief in the Lions organization and support of our Lions Club fund raiser. We have been warmly received by their customers and their staff have been consistently friendly and helpful. Kennewick Lions especially thanks Kennewick Ranch & Home for their great support for both our service and fund-raising activities! They hosted our Health Screening trailer and allowed us to do fund raising in front of the store.